Since twenty years we now have Electronic Markets. It started as a newsletter and developed to a well recognized, international, SSCI listed scholarly journal published by Springer. 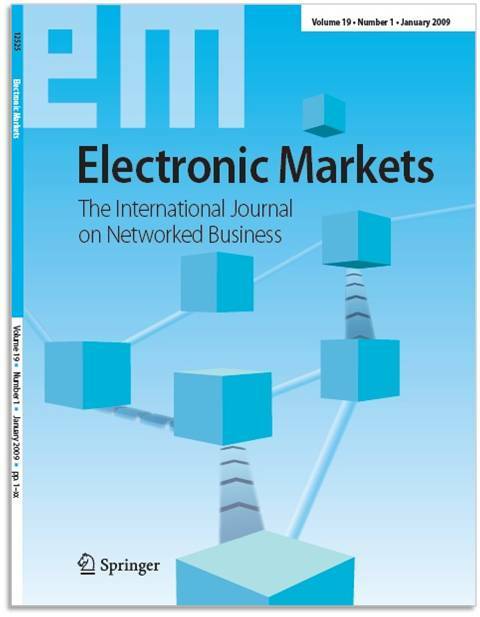 Currently, we are preparing the last issue of the 21st volume of Electronic Markets - The International Journal on Networked Business. 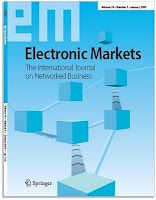 You can find the journal on Facebook on facebook.com/ElectronicMarkets. Here we will announce news about the journal and closely related content. Please fell free to Like the page and/or the content, to comment and to add content. Furthermore, we also have a Twitter account: @Journal_EM. Through Twitter we will announce news about the journal as well, but will also distribute content that might be of interest to our readers and authors. Please have a look and support our journal! Maybe you iLike it.